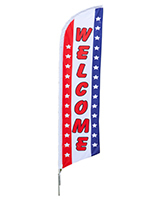 These message flags are the perfect way to draw new customers into your business. 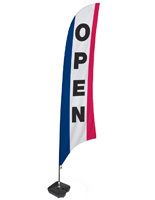 Each banner is made from durable polyester that is safe for outdoor use. 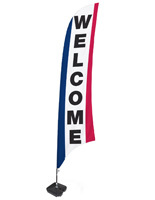 The red, white and blue flags read "Welcome" to let guests know that you are open for business! 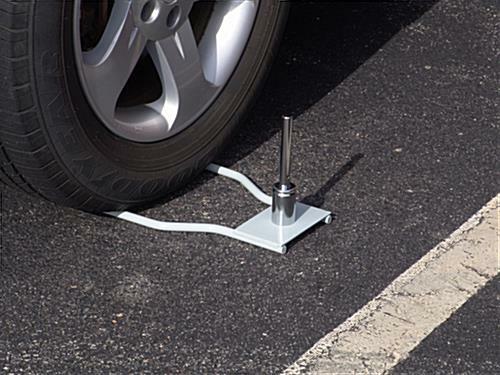 Each of the advertising accessories is sold with car-foot base for use on pavement and other hard surfaces. The flags stand at 13' tall for maximum exposure. Order for all your outdoor events today!